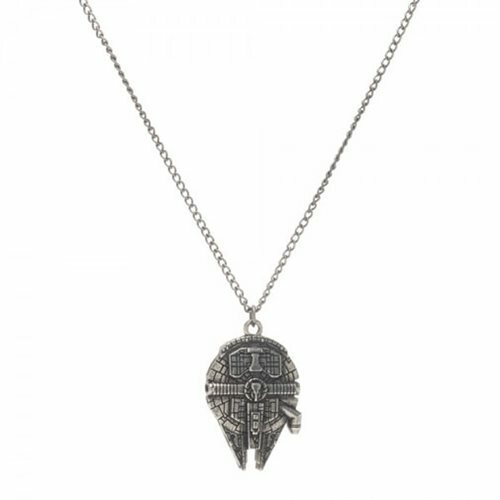 Wear one of the fastest ships in the galaxy around your neck with this Star Wars Millennium Falcon Necklace. This item is a great way to show off your favorite vessel from Star Wars! Made from zinc alloy, this necklace has an 18-inch chain and a 1 1/5-inch tall charm.